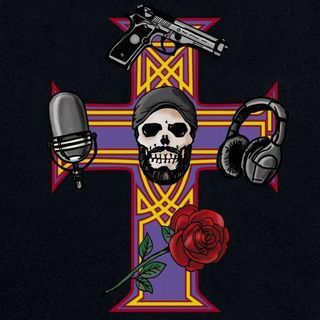 Appetite for Distortion is a Guns N' Roses interview & discussion podcast hosted by radio veteran, Brando. Not affiliated with Guns N' Roses. Check it out on the iHeartRadio App, SoundCloud, Spreaker, Stitcher, Google Play, and Apple Podcasts. Please leave a review. You are a part of this show. Past guests include: Dave Kushner (Velvet Revolver), Scott Ian and Charlie Benante (Anthrax), Carla Harvey (Butcher Babies), Michael Lardie (Great White), Paolo Gregoletto & Corey Beaulieu (Trivium), Don Jamieson and Jim Florentine (That Metal Show), Brain (Primus / Guns N’ Roses), Tommy Stinson (The Replacements / GNR), Steve Gorman (Black Crowes), Alex Grossi (Quiet Riot), London Hudson (Slash’s son/Classless Act), Alan Niven (former GNR manager), Raz Cue (former LA Guns manager), Mike Squires and Jeff Rouse (Duff McKagan’s Loaded), Todd Kerns (Slash ft. Myles Kennedy & the Conspirators), Ernie C (Bodycount), Richie Faulker (Judas Priest), Christopher Thorn (Blind Melon), Roberta Freeman & Teddy Zig Zag (GNR) AND MORE!! Not affiliated with the band Guns N' Roses. Current theme song created by Mike Squires.